Inspired To Educate - Atlanta Maker Faire Road Trip! Home 3d printing Atlanta Maker Faire Road Trip! Hey Macon Makers! SparkMacon Makerspace wants to invite you for an amazing road trip to Atlanta Maker Faire in Decatur, GA on Oct 1st! Maker Faire is a gathering of fascinating, curious people who enjoy learning and who love sharing what they can do. From engineers to artists to scientists to crafters, Maker Faire is a venue to for these “makers” to show hobbies, experiments, projects. 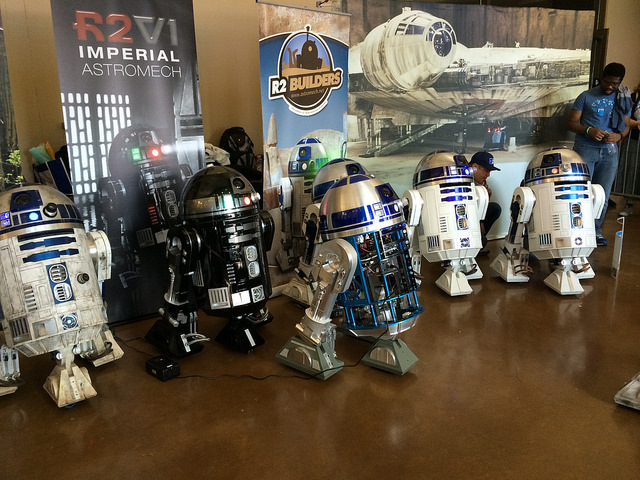 MakerFaire events are called the greatest “show and tell” on the planet. We believe that the road trip to Atlanta MakerFaire will have the following impacts for our community: 1. It helps inspire our Macon Makers tribe. 2. We’ll grow friendships in our Macon community between our tech community, creatives and artists. 3. We want to expose Macon makers to innovative ideas, tools, business concepts, and art that can be brought back to our local community.4. It’s going to be REALLY fun! We’ll finish the day with a dinner/drinks meetup of Macon Makers. This will give us an opportunity reflect on the day and hangout. Sign up for the Atlanta Maker Faire Road Trip today.